The Japanese ambassador to China died in a Tokyo hospital after being admitted three days earlier. 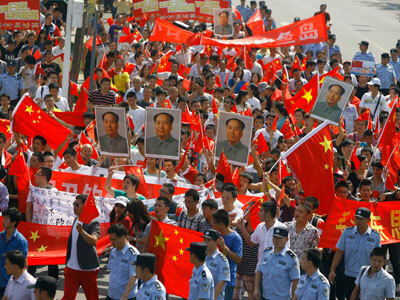 His death coincides with an escalation in anti-Japanese protests across China over a territorial dispute. The cause of ambassador Shinichi Nishimiya’s death is currently under investigation, Japan's Ministry of Internal Affairs said. Three days ago, Nishimiya was found unconscious near his Tokyo home after leaving for work. 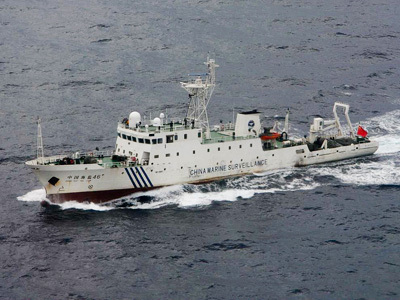 A second day of demonstrations took place across China against Japan's territorial claim to a group of disputed islands in the East China Sea. China does not recognize Japan's claim to the isles, which are known to the Japanese as 'Senkaku' and as 'Diaoyu' by the Chinese. 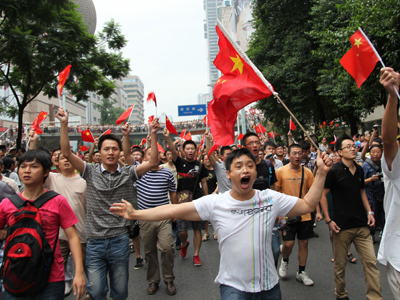 In Shenzhen, a city near Hong Kong in southern China, police dispersed thousands of activists with water cannons. And in the eastern city of Qingdou, witnesses reported smoke and flames coming from a factory owned by Japanese electronics manufacturer Panasonic. A Toyota dealership was also damaged in Qingdou, a company spokesperson said. In response, Japanese Prime Minister Yoshihiko Noda called on the Chinese government to “ensure the security of Japanese citizens,” and decried the recent surge of anti-Japanese demonstrations. “I strongly object to the burning of Japanese flags and the protests,” Noda said on a Japanese talk show broadcast by NHK. 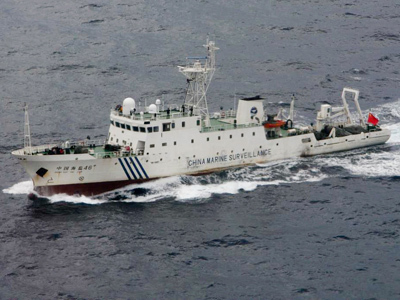 Tensions between the two countries intensified on Friday when six Chinese ships entered Japanese waters near the disputed islands and ignored the Japanese Coast Guard's orders to leave. 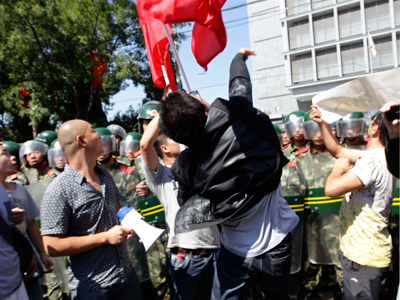 The move triggered angry protests in hundreds of Chinese cities, some of which were reportedly violent.